However, sometimes the ViraMaritime.com uses third parties to process your information. 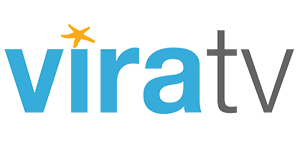 ViraMaritime.com requires these third parties to comply strictly with its instructions and the ViraMaritime.com requires that they do not use your personal information for their own business purposes, unless you have explicitly consented to the use of your personal information in this way. When you interact with the ViraMaritime.com we sometimes receive personal information about you. For example, if you write to us or sign up to a newsletter, you might tell us who you are, how we can contact you and what you think of the ViraMaritime.com and its services.